This is a beautiful decor, which can make the palest wall look engaging indoors as well as outdoors. Made from good quality polystone it will stay in prim condition for years. 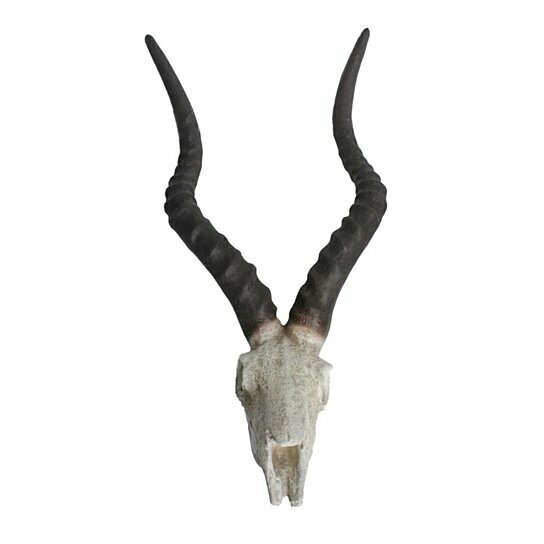 This decor features a antler head in gray with long well shaped horns in brown. You can fix it on any wall of your choice. Another option would be to hang it on a door. This decor will very soon start up conversations and become everyone?s favorite. This decor is high on quality and low on maintenance. Can be fix on walls or doors.